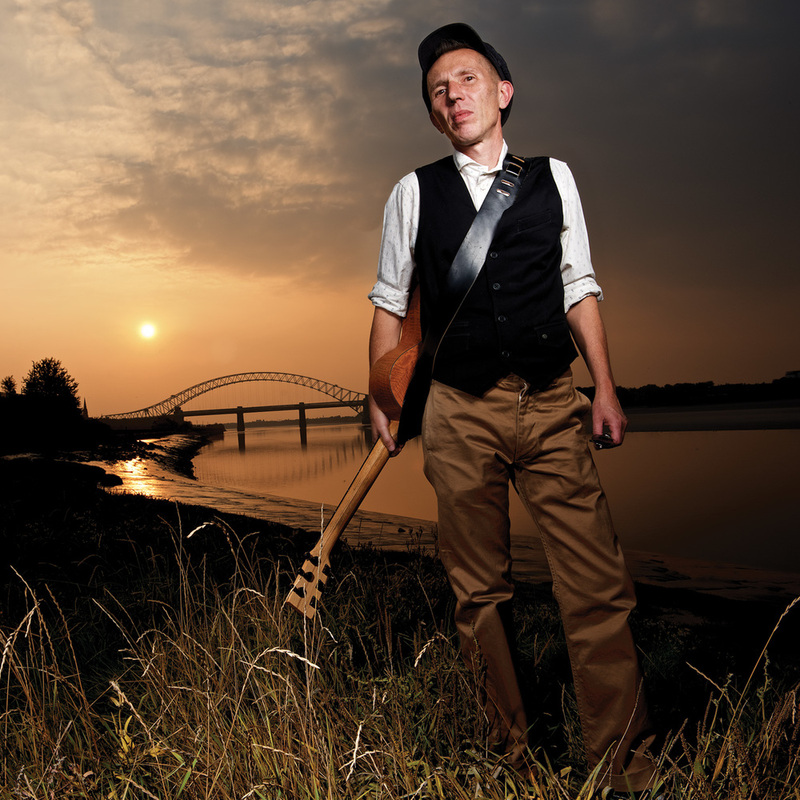 Armed with an old guitar, honest lyrics and an ear for a killer melody, Tim ‘Hogie’ Higgins delivers tales of love, regret, salvation and redemption with a soulful country swagger. OMB Recordings are proud to introduce his debut album, River Of Mercy - a collection of 12 songs of great depth and originality. From Warrington, where the River Mersey and the Manchester Ship Canal collide, Hogie moved to London wearing his northern heart on his sleeve. Since then he has played many bars and clubs, and gaining a reputation on the flourishing UK Americana/Country scene as a formidable songwriter with a compelling voice. A chance meeting in his local pub with producer/pianist Kenny Dickenson (KT Tunstall, Billy Bragg, Rumer) led to their musical collaboration. Kenny assembled some of the UK’s finest musicians to give musical depth to Hogie’s highly personal songs - many written around the time his mother passed away and reflecting his conflicts with faith and belief. The lyrics for ‘Rome’, for example, were adapted from the eulogy that he delivered at his mother’s funeral. Hogie’s group includes Dickenson on keyboards, as well as CJ Hillman (Billy Bragg) on guitar & pedal steel, Luke Bullen (Joe Strummer & The Mescaleros) on drums, Angie Pollock (Goldfrapp) on backing vocals, Arnulf Lindner (Ed Harcourt) on cello, blues-harp legend Steve ‘West’ Weston (Wilco Johnson/Roger Daltrey) - plus trumpet maestro Noel Langley. With their help, Hogie crafted River Of Mercy’s 12 songs, which range from poignant bar-room ballads (Think Of Me, Old Time Song) to revivalist folk/gospel (River Of Mercy), alt-country toe-tappers (Devil’s Got His Work To Do, Two Minutes) - to vintage R&B work songs (Toe The Line) and Mexican mariachi (Ballad Of Santa Muerte). The thread that runs through all Hogie’s songs is the resonance of his voice, the strength of his melodies and the quality of his lyrics - all supported by a cast of supremely talented and inventive musicians. 'River Of Mercy' will be available from 02.02.2016 on limited edition CD from Bandcamp and as a digital download from iTunes/AppleMusic & Amazon.